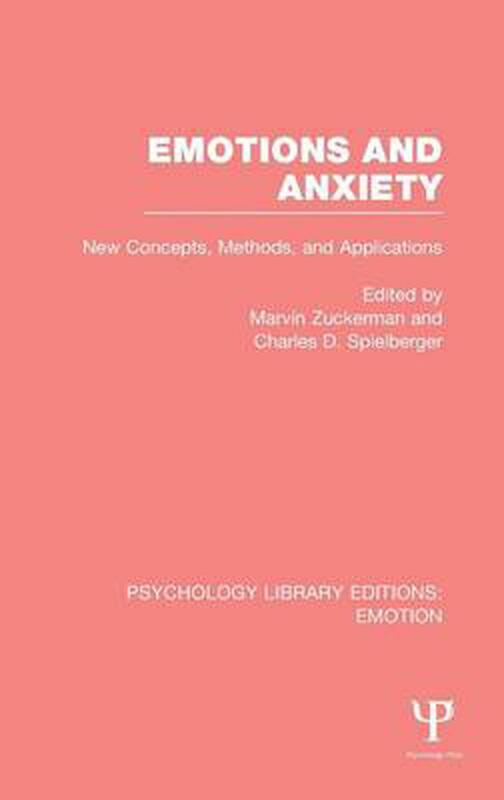 First published in 1976, this volume was completely new with original contributions and traces the advances in theory and research on anxiety and emotion of the previous decade. The authors examine the origins of fear, anxiety, and other emotions and consider self-report and psychophysiological approaches to the measurement of anxiety. Also considered are the effects of anxiety on the behaviour of normal and abnormal subjects, and the volume concludes with behavioural approaches to assessment and treatment of anxiety in clinical settings. Part 1: Origins of Fear, Anxiety, and Other Emotions 1. Stephen J. Suomi and Harry F. Harlow The Facts and Functions of Fear 2. Paul McReynolds Assimilation and Anxiety 3. James R. Averill Emotion and Anxiety: Sociocultural, Biological, and Psychosocial Determinants Part 2: The Measurement of Anxiety 4. Marvin Zuckerman General and Situation-Specific Traits and States: New Approaches to Assessment of Anxiety and Other Constructs 5. William F. Hodges The Psychophysiology of Anxiety Part 3: Effects of Anxiety on Normal and Abnormal Behavior 6. John H. Mueller Anxiety and Cue Utilization in Human Learning and Memory 7. Roger L. Patterson The Effects of Negative Feedback on the Anxiety Level and Performance of Schizophrenics 8. Dean G. Kilpatrick, Patricia B. Sutker and Alma Dell Smith Deviant Drug and Alcohol Use: The Role of Anxiety, Sensation Seeking, and Other Personality Variables Part 4: The Treatment of Anxiety 9. William T. McReynolds Anxiety as Fear: A Behavioral Approach to One Emotion 10. Charles D. Spielberger, William D. Anton and Jeffrey Bedell The Nature and Treatment of Test Anxiety. Author Index. Subject Index.